Hello there, I am back once again and on a Thursday! 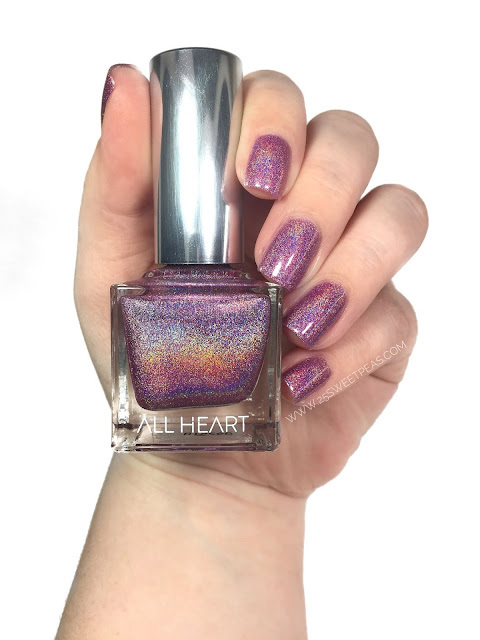 Today I have photos of the brand new All Heart Polish that has come out this month, so lets take a look! 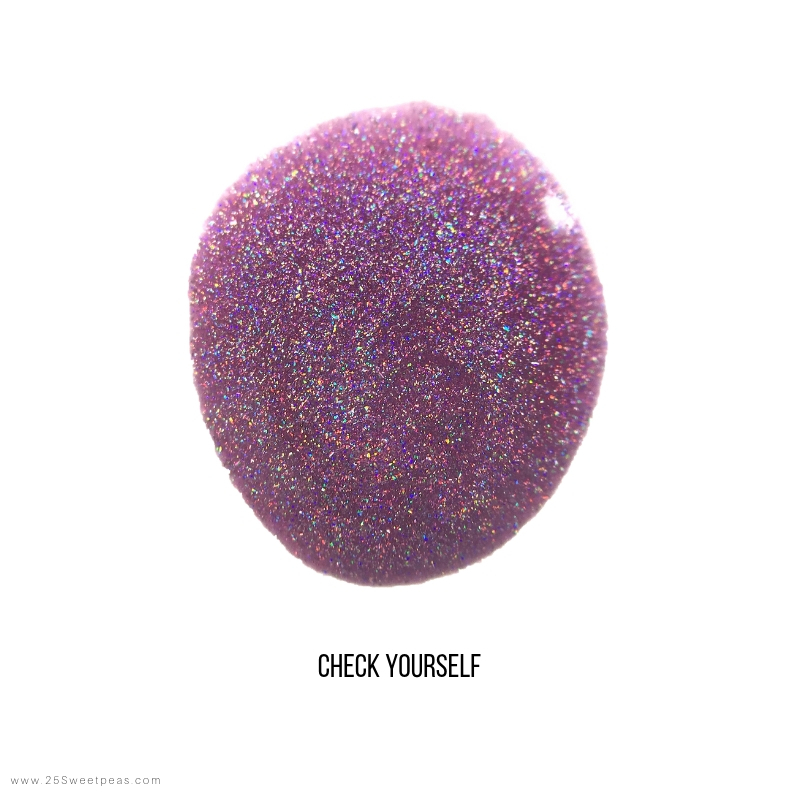 This months polish is called Check Yourself! 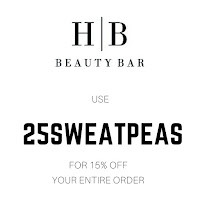 and in in collaboration with Keep A Breast which you learn all about here. 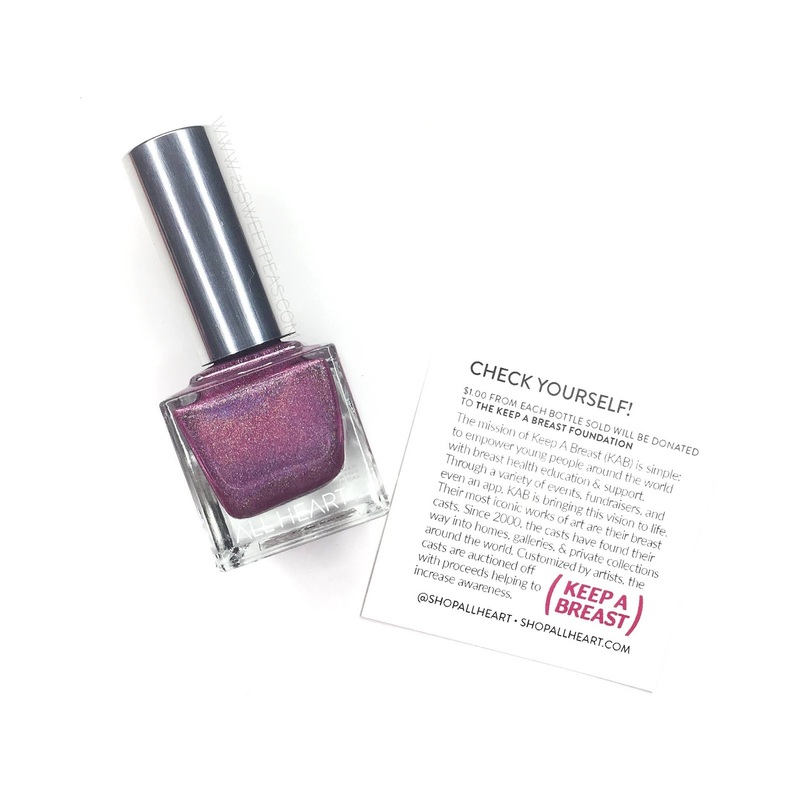 Also below is a photo of the the card that comes with the polish that tells you a bit about Keep A Breast. 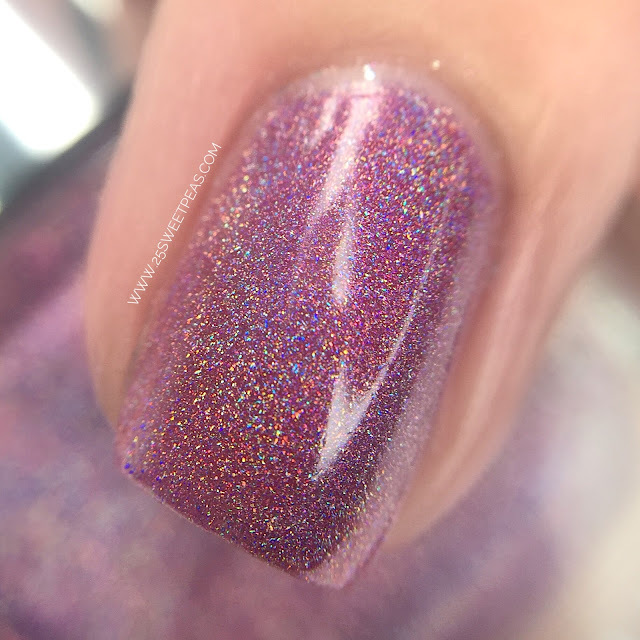 This months polish is a really pretty shade of pink and you can see it in action in todays video here. The formula on this one is really nice. 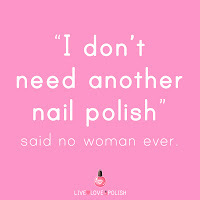 It applies perfectly and very evenly. The base almost has a jelly feel to it but it covered completely in two coats. The holo intensity is perfect, and catches in the light so nicely. 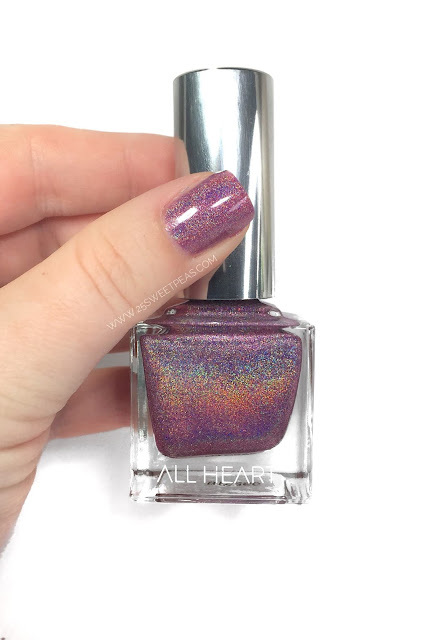 As always with each All Heart Polish $1 from each polish sale will go directly to the NonProfit that has collaborated on the polish. So this month $1 from each sale will go to Keep A Breast! 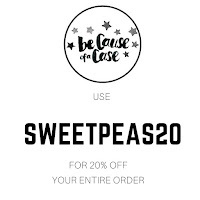 If you are shopping on All Heart remember you can use 25sweetpeas20 for 20% off your purchase! 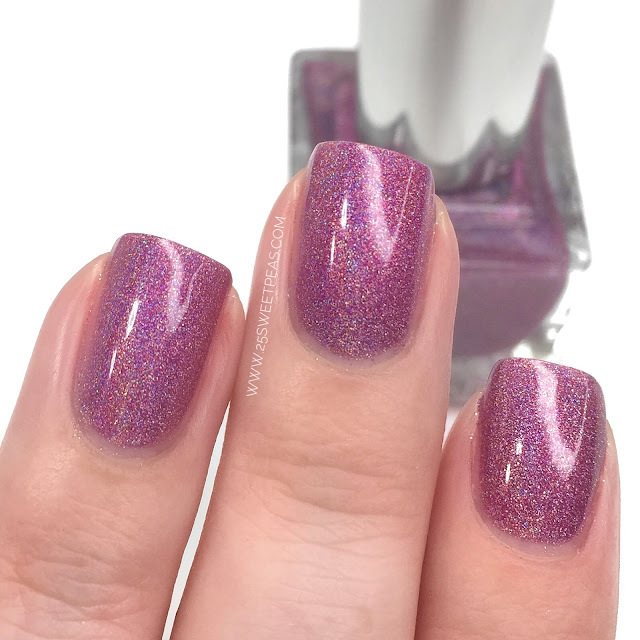 Gorgeous shade and I love the finish. Its really lovely isnt it!?! Such a classic pretty pink. 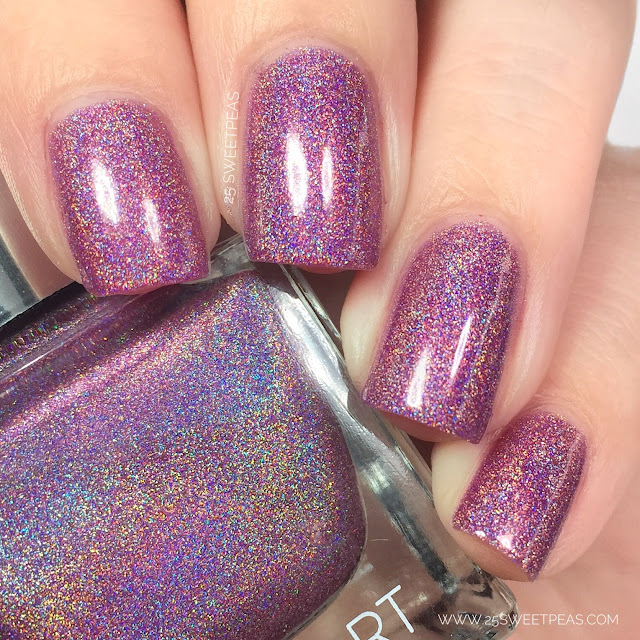 That's a beautiful holo. Delicate and pretty.